The UC-San Diego microgrid is improving its reliability and overall productivity with the installation of energy storage and other new equipment. William Torre, program director for energy storage at UC-San Diego, Center for Energy Research, describes the updates in an interview with marcus evans. At last year’s edition of this conference, you led a tour of UC-San Diego’s 40-MW microgrid. In the last year, what is new to the grid/what has been updated on campus? Have you accommodated for more EV’s? WT: We have started construction of the installation of our 2.5 MW/5 Mwhr energy storage. We have installed a 350-ton heat recovery absorption chiller capturing the waste exhaust heat of our 2.8-MW fuel cell. We have installed our second thermal energy storage tank (1.5 million gallons). Another new addition to our grid is a solar powered DC fast charging solar demonstration project sponsored by NRG Energy. We have completed installation of our 26 EV smart chargers, the first smart charging project in the US. Seamless islanding versus open transition: Which method does UC-San Diego use and why? WT: UC-San Diego has installed a SEL Power Max system which rapidly balances load and generation upon separation and islanded microgrid operations with the local utility. Also, we have installed phasor measurement units and special synchronizing relays at our interconnection point to allow seamless reconnection to the local grid. What battery technology does UC-San Diego currently use for storage? How long have you been using this technology? What is its expected life span? WT: UC-San Diego has had several energy storage projects, for commercial use on our microgrid and for research and testing. Several more systems are planned. Our 2.5 MW/5 Mwhr energy storage system will consist of lithium ion iron-phosphate batteries. Our 100 kW/160 kWhr energy storage system utilizes lithium ion manganese-cobalt batteries. We recently decommissioned a 100 kW/300 kWhr zinc-bromine flow battery. We will be installing a 28-kW energy storage system utilizing ultracapacitors later this year. How does UC-San Diego go about maintaining compliance with the state and federal energy regulations with respect to renewables, storage, and microgrids? WT: UC-San Diego adheres to all federal and state regulatory requirements, and interconnection requirements with the California Independent System Operator and the local utility (San Diego Gas & Electric). In addition, UC-San Diego has established renewable and greenhouse gas requirements that meet or exceed the California state goals. In your opinion, how do you see the microgrid market growing in the next several years? 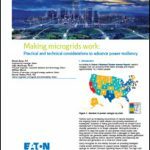 WT: The growth of microgrids is highly dependent upon regulatory reform and opening of all balancing markets to accommodate the unique capability of microgrids to provide increased reliability and ancillary services. Also, streamlining of local interconnection process by local utilities and independent system operators. I believe that as distributed renewable generation increases, market reform will be needed to create local distribution system operators (DSO), (ref CA AB327 CPUC Hearings) to ensure resource adequacy and system reliability to the larger grid. This, in turn, could open the door to adoption of more aggregation of distributed generation and loads resulting in more microgrids. What impact do you think Tesla and SolarCity will have on the utility industry? WT: Both of these companies are already having a significant impact. Solar City has installed a large amount of solar in the US. The recent announcement of the Tesla Powerwall affordable home storage could result in more off grid residential load, and corresponding mini-grids. The gigafactory, if successful, could result in lowering battery costs even more, resulting in more affordable EVs and energy storage, further creating more grid independence and improved utilization of renewable generation. Having participated in this conference last year, what is it about this meeting that made you want to present this year? What topics are you looking forward to discussing this year? WT: In addition to enhancing its islanding capability, UC-San Diego has been making more strides in diversifying its resource portfolio, through adding more combined heat and power, energy storage, and renewables. These additions have resulted in increased operational efficiencies that others at the conference may be interested in learning about. We will also discuss our research activities on testing new energy storage batteries through our ARPAe CHARGES project, and smart inverters testing through the CEC. William Torre serves as University of California San Diego program director of energy storage and systems with oversight of power system research, development and testing of advanced energy storage systems, and integration of renewable energy systems. 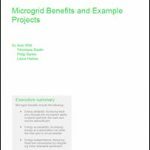 Join William Torre at the 2nd Edition Microgrid Development for Public & Private Sectors WEST COAST Conference, July 28-30, 2015 in Orange County, CA. For any questions, please visit the conference website or contact Tyler Kelch, Assistant Marketing Manager for Media/PR, marcus evans at 312.894.6310 or Tylerke@marcusevansch.com.